Each day, students were given time to create media without the guidance of an instructor. The hope was to give the students the space and resources to develop their skills on their own, taking the concepts introduced to them during class and using them in their own productions and projects. At times, students were given a prompt for a video. In other instances students were given the freedom to create something totally original. After a week of instruction, students were asked to create videos that sold the concept of their school to others. The exercise started out by asking students what they thought of their school. It was interesting to get the students' take on what made the school successful and to watch them match the symbolism in the school with the traits they believe makes St. Francis a great place to attend. This project was led with a prompt that encouraged students to consider using both establishing (typically wide shots) along with tighter shots that specified concepts or portrayed specific ideas. Students started experimenting with making trailers early in camp, exclusively in their genius hour sessions where they discovered templates in iMovie. The Sub Before Me was a surprise to say the least. The narrative, while goofy, demonstrates a great understanding of comedy which matched different shot types in the project, something that was lacking in the student's initial work. The students continued working in the trailer format. I cannot stress enough the development of the student's skills on display in these videos. The ability to intuitively create shots that work for one genre and then turn around and explore another genre shows a keen understanding of film grammar — entirely impressive for students in grade 5 and 6! Take a look at their dive into the horror genre. For those not familiar, vlogging is like blogging, except vlogging is purely video based. We had a student document in vlog fashion his experience at the Fort Frances Times, where we learned about the newspaper business along with the responsibility journalists carry as they publish items both in the newspaper and online. The concept of vlogging in this case is not unlike a book report and could easily be used in the same nature as an essay. Drafts, or retakes are routinely done. Editing takes place, and furthermore, music, titling, and additional effects can be used. 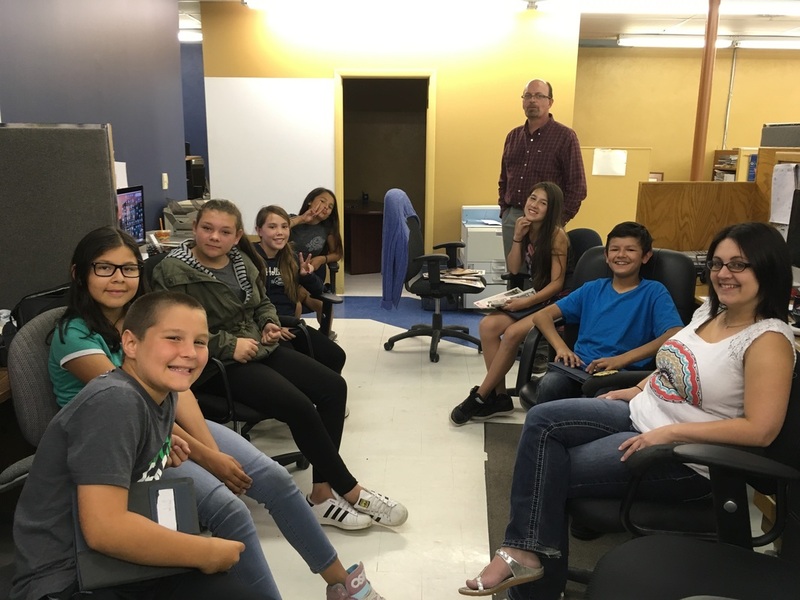 Having students vlog gives instructors a clear idea of what a student takes away from a particular assignment or event — in this case, a field trip to the local newspaper.